One week ago I drove from Fargo to Casselton, North Dakota, to take in first hand what happened with the train explosion. Details of that outing are linked to here. The next morning I checked my e-mail in-box, and CNN’s Justin Lear had a message waiting for me. He wondered if it was okay for CNN to use my YouTube video. My thought was, “Yeah. Sure.” So I e-mailed him back, we corresponded briefly, and eventually CNN put my video on their page. Click here to see what it looked like. 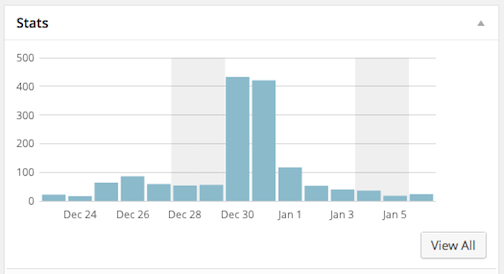 When you blog exploding or burning trains, this is what happens to your blog’s site visitation. The footage also got me thinking a bit about how Lear might have come across the video in the first place, this through the computational algorithms built by the internet folks (at Microsoft, Google, and so on). If you happen to be within photographic range of exploding trains, or the burning aftermath of exploding trains, and you upload this footage to YouTube, there’s a good chance Justin Lear will get a hold of you. I think, perhaps, the most enjoyable footage had to do with the on-the-spot local narration from North Dakotans who caught footage of the actual explosion. If you click on this link and go to 0:24 seconds, you’ll hear through-and-through NoDaker commentary: “There it goes,” and this followed by “There it goes.” Phonetically, it sounds like this: “Der it goeas.” And while this makes us smile, this is the reflection of a North Dakota dialect (played up pretty heavily in the movie Fargo — thank you Coen brothers). The sound of it is completely disarming, and you can hear our Scandinavian and German-Russian great grand-parents within it. This entry was posted on Monday, January 6th, 2014 at 5:48 pm	and tagged with Bakken, Casselton, CNN, Fargo, Great Plains History, Justin Lear, North Dakota, YouTube and posted in Uncategorized. You can follow any responses to this entry through the RSS 2.0 feed.